With dimension and interest, our army moon cut ball chain will add a luxurious touch to any attire! 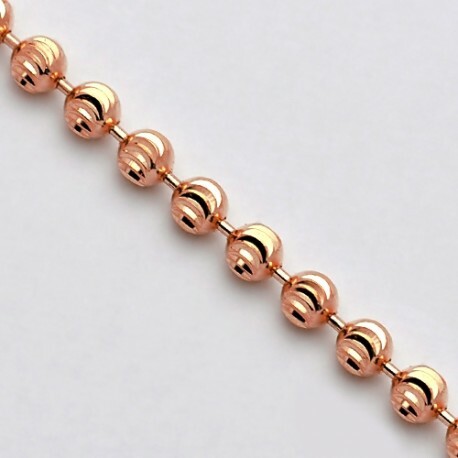 Professionally made of unique 14k rose gold in Italy, it's highly polished for brilliantly shiny finish. It also features original moon cut patterns for extra shimmer. 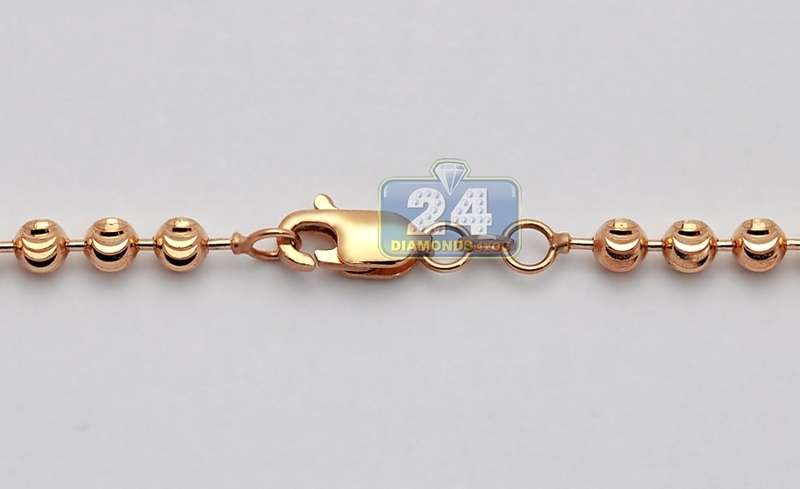 The jewelry is available in length of 24, 26, 28, 30, 32, 34 or 36 inches, and measures 5 mm in thickness. This men's beaded necklace is a timeless piece of jewelry!